Emerson, Lake & Palmer may have suffered at the hands of time more than any other Prog band. 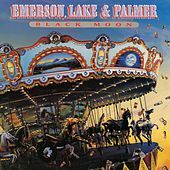 ELP are commonly associated with such 1970s excesses as the merging of classical music with rock, long (we're talking long) solos, and lyrical themes that had more to do with fantastical worlds than the real one. But dismissing the band as a Spinal Tap punchline ignores what a startlingly original and ambitious group they really were, especially when you put them back in their early '70s context. Keith Emerson stands as one of the most innovative and talented keyboardists ever to beat up an organ. Not only did he elevate the status of his instrument, so that guitarists were no longer the rock world's only virtuosos, he was also one of the first players to put the Moog synthesizer in the spotlight. 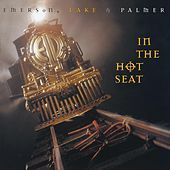 The other members of the group were likewise musicians of note: Carl Palmer astonished would-be drum wizards with his maniacal and versatile playing, while Greg Lake not only played bass and guitar (and sang with one of the sweetest voices in rock) but produced the band's records as well.